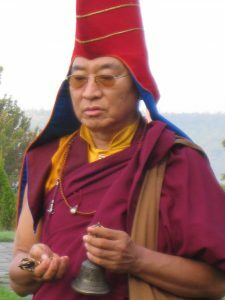 On April 2, 2017 at Padma Samye Ling during the One Month Dzogchen Retreat, Ven. 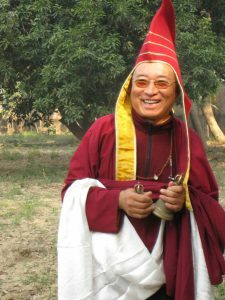 Khenpo Tsewang Dongyal Rinpoche announced that a long-standing dream of Ven. 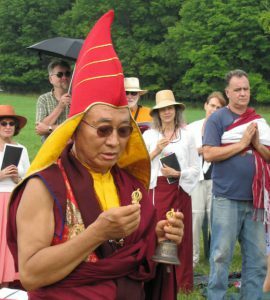 Khenchen Palden Sherab Rinpoche and his was coming true: that day began the carving of five New Stupas that will be installed in the Padma Samye Ling monastery meadow! A twenty foot Enlightenment Stupa will be placed in the center, surrounded by the following twelve foot stupas in the four directions: a Heaped Lotuses Stupa, a Many Doors Stupa; a Complete Victory Stupa; and a Mahaparinirvana Stupa. These five stupas honor and commemorate Buddha Shakyamuni’s birth, enlightenment, teaching the Dharma, extending his life, and mahaparinirvana. The five stupas are made of solid volcanic rock, and are being hand-carved in Indonesia by an expert craftsman. The carving will take about one and a half years, and the stone is said to last for over 1,000 years! 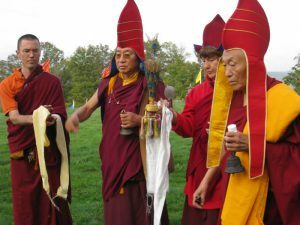 If you would like to support this glorious, meritorious project in honor of our lineage masters, or a loved one, please contribute below or mail a check payable to “PBC” to Padma Samye Ling monastery, and note in the memo who the donation is being made on behalf of. 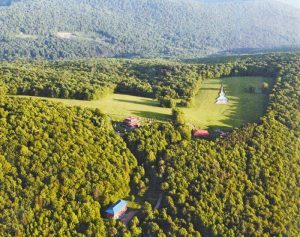 May this virtuous merit advance the teachings of Buddha Shakyamuni – particularly the Nyingma teachings. May this merit radiate to all donors, supporters and their friends. 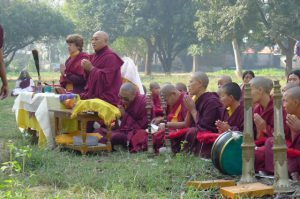 May all their heartfelt wishes be fulfilled according to bodhichitta and may they have long life, joy, peace, realizations, and good health. 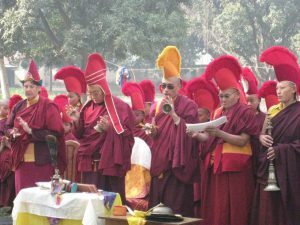 May this merit bring long life and limitless Dharma activities to all the holders of the Buddha’s teaching. 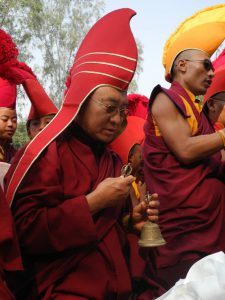 May this merit bring long life to His Holiness the fourteenth Dalai Lama, the spiritual and secular leader of Tibet; may it bring the fulfillment of his peace mission and that of all other peacemakers of the world. 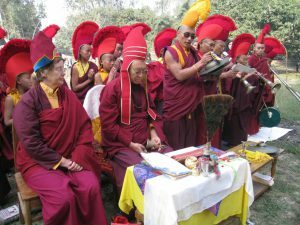 May this merit fulfill the vision to regain the freedom of Tibet through the means of peace and truth. May all domestic and wild animals who now suffer in the animal realm, may this be their last karmic rebirth, and may they attain higher rebirth and enlightenment. 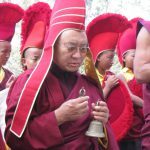 May all beings find joy, peace, and the fulfillment of their wishes, and be guided throughout their lifetime by the Three Jewels, and may they all reach buddhahood. May the elements become balanced. May there be an end to natural disasters, war, famine, and sickness. May this world have peace and be blessed with a shining and everlasting Golden Age.